The term stress fracture describes a fracture that is the result of repetitive load (stress) and the failure of the bone to manage and heal the effects of that load. If a bone is unable to accommodate and repair repetitive load (stress), the bone undergoes fatigue and breaks (fractures.) Stress fractures are not due to trauma but are the result of biomechanical loads that are greater than the ability of the bone to support that load over time. Stress fractures are the result of a repetitive or sustained load applied to the bone. Load may be defined by the duration of load, the frequency of load, or the amount of load. 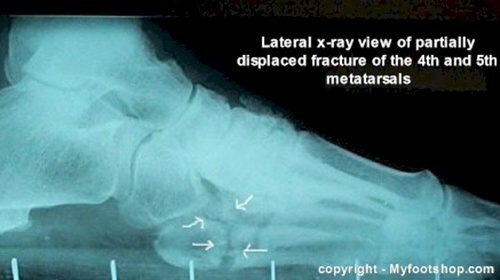 The most common stress fractures that occur in the foot are found in the metatarsal bones. 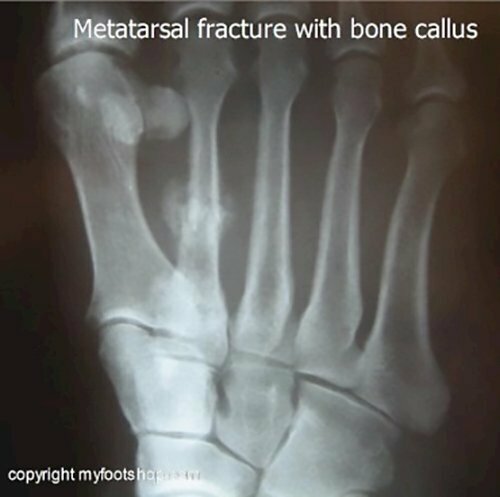 Metatarsal stress fractures are also referred to as march fractures. The term march fracture came about as the result of forcing young, sedentary army recruits to march 20 miles with a full backpack. Their transition from civilian to soldier was too abrupt, resulting in a load that was greater than what the metatarsal bone could tolerate. 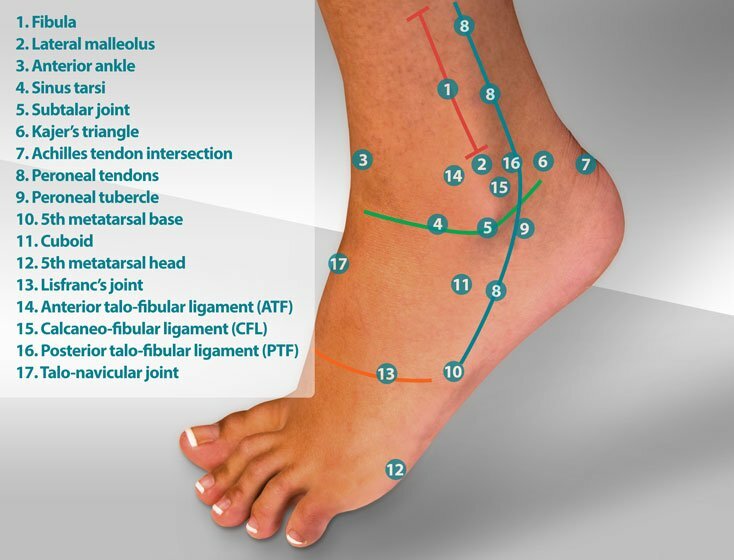 Other stress fractures that occur in the foot include calcaneal stress fractures (the heel), navicular stress fractures (medial arch) and cuboid stress fractures (the lateral arch). Essentially, any bone, when put under too much stress for too long a period of time can sustain a stress fracture. Other factors that play into the onset of stress fractures include the general medical status of a patient. Malnutrition, age, osteoporosis, smoking, and a host of medical co-morbidities play a role in the ability of bone to repair itself, prior to and after a stress fracture has occurred. These co-morbidities make the bone less able to heal repetitive stress. Therefore, the greater the number of co-morbidities, the less stress that is needed to ultimately result in a stress fracture. At the onset of symptoms, the diagnosis of a stress fracture may be challenging to make. Stress fractures are a microscopic change in the physical structure of the bone. Therefore, x-ray findings of stress fractures are subtle if present at all. Suspected stress fractures should be screened with an x-ray at the onset of symptoms to rule out other bone pathologies such as bone tumors or arthritis. 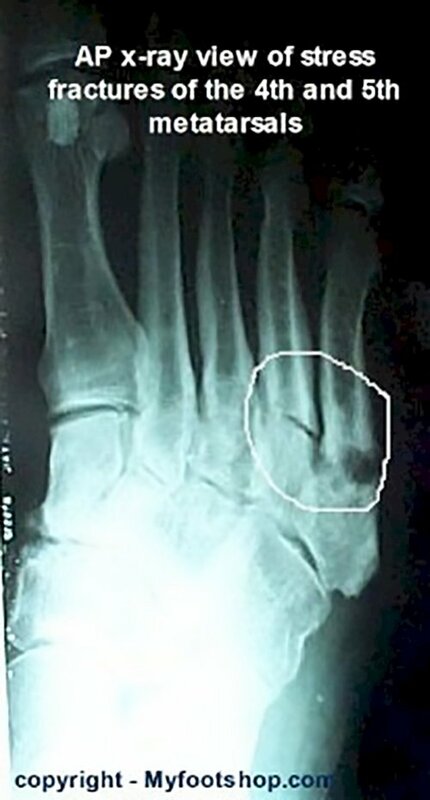 Over the course of several weeks, the repair process of the bone will become evident on x-ray leading to the confirmation of a stress fracture. The fracture itself isn't actually visualized on x-ray, but rather the repair process in response to the fracture is seen. This radiographic finding is called bone callus. Bone callus helps to stabilize the stress fracture and acts as the body's own internal cast. When visualized on x-ray, bone callus can be identified 4 weeks following the onset of symptoms. 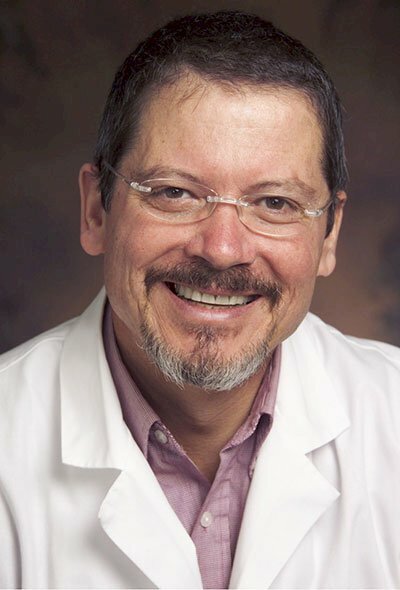 If bone callus is not seen and a stress fracture is still suspected, computerized tomography (CT Scan) can be helpful in defining stress fractures. A stress fracture in some bones, particularly hard cortical bone, may create a fracture line that is sharp and clear on CT scanning. MRI's are also used to test for stress fractures. MRI's are particularly helpful in identifying areas of edema (swelling) within soft, cancellous bone that may be associated with a stress fracture. The technique of treating stress fractures varies in each case but the fundamental principles are the same. First, we need to confirm that the fracture is stable, well-aligned and that the ends of the fracture appose each other. Once we've confirmed alignment and apposition, treatment is simply the variation of rest. Treatment may include bed rest, a hard, non-weight bearing cast, a walking cast, a fracture shoe, bandaging, or just decreasing activity. 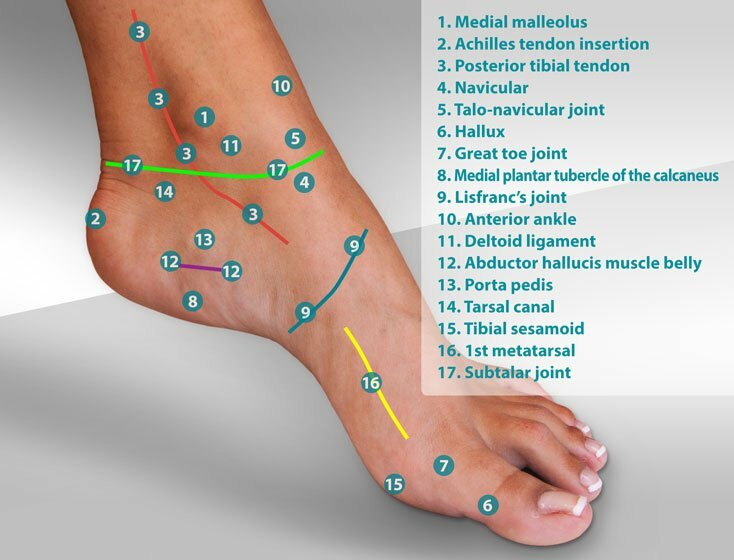 As you can see, each of these methods of treatment is a variation of rest. 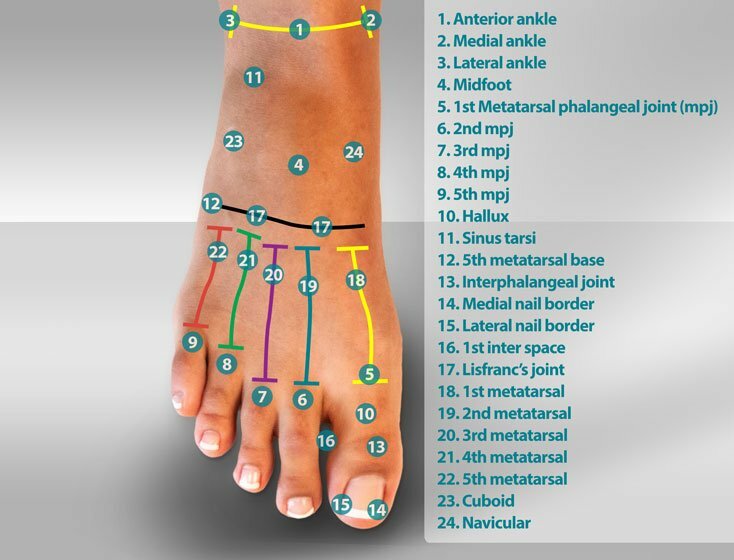 Most stress fractures of the foot will heal over time with just a little help. How long? Patients are usually surprised to find out that stress fractures take 8-12 weeks (or more) to heal. In a limited number of cases, stress fractures may require surgical care. Surgical care focuses on stimulating the fracture repair process. Treatment may include bone grafting, drilling of the bone, or stabilization with fixation. Symptoms of a stress fracture should be evaluated by your podiatrist or orthopedist. Most recent article update: December 3, 2018. Stress Fractures of the Foot by Myfootshop.com is licensed under a Creative Commons Attribution-NonCommercial 3.0 Unported License. The Arch Binder slips over the mid-foot and is worn around the arch with or without shoes, offering elastic compression, arch support, and pain relief. By PediFix. Universal right/left. 1/pkg. 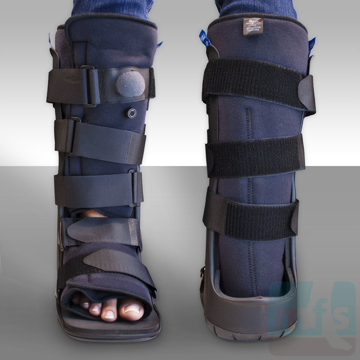 The Low Top Pneumatic Walking Cast has a lightweight, mid-calf boot design that is a great solution for minor foot and ankle injuries including fractures of the foot and ankle sprains. Re-usable and easy to use. By Myfootshop.com. Universal left/right. 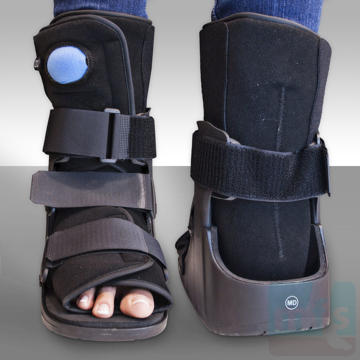 The High Top Pneumatic Walking Cast's boot design increases stability and decreases pain and swelling while recovering from foot or ankle injuries. Used in the treatment of foot and ankle sprains, fractures, and post-surgery recovery. By Myfootshop.com. Universal right/left.